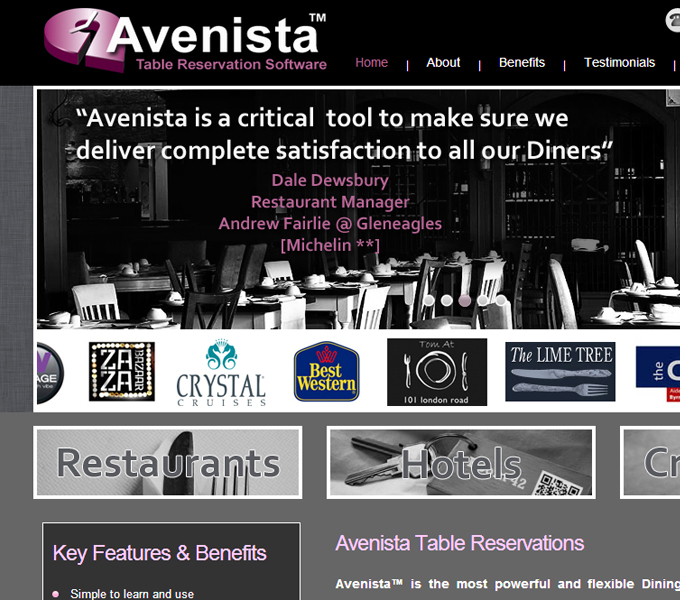 Avenista™ is the most powerful and flexible Dining Management Solution available anywhere. It is designed by a simple, no-nonsense company, to make your life as a restaurateur easier, more profitable, and ultimately, more enjoyable! Avenista helps you to organise key Front of House activities like Managing Reservations, Tables, Customer Service, Diner Relationships, Marketing, and Business Analysis. It’s so easy to use and can help even the most unorganised restaurant become a slick and efficient operation that is seen to care about its Diners whilst at the same time always working behind the scenes to maximize the inherent potential of the restaurant.